Jayden Laverde sustained minor ankle ligament damage in Essendon VFL's win over Sandringham. Jayden Laverde writes about why he's decided to change his guernsey number for 2019. Essendon forward Jayden Laverde's has returned to the senior team and says he "definitely" wants to stay at the club. 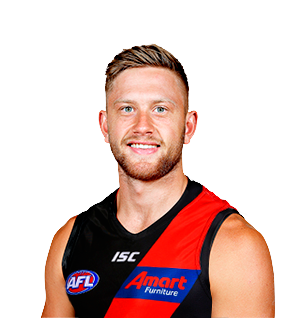 Talented young Bomber who been repeatedly interrupted by injuries in his four years at Essendon. While primarily used as a half-forward, Laverde is capable of heading further up the ground and will be pushing for more midfield time in 2019. 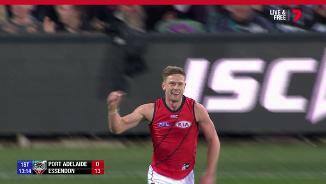 The 22-year-old put together one of his best career games in the final round of the 2018 season against Port Adelaide, booting three goals from 17 disposals in a great display of his quality. With more consistent time on the park, Laverde could get a good chance to secure his position in the top 22 in 2019 in what will be an important year for the new No.15.